Ariana Grande 'Coming Out As Bisexual' through her new song? Fans have dug through to discover the answer! Ariana Grande has been surrounded by a lot of controversies as of late. Be it her tattoo issues or playing Mac Miller songs before her concerts, the Bang Bang singer is in the hottest of waters. And now, new speculation has been swirling around the fanbase which is surely going to top 'em all. Sharped eyed fans are always the first to crack the code of celebrities' minds. 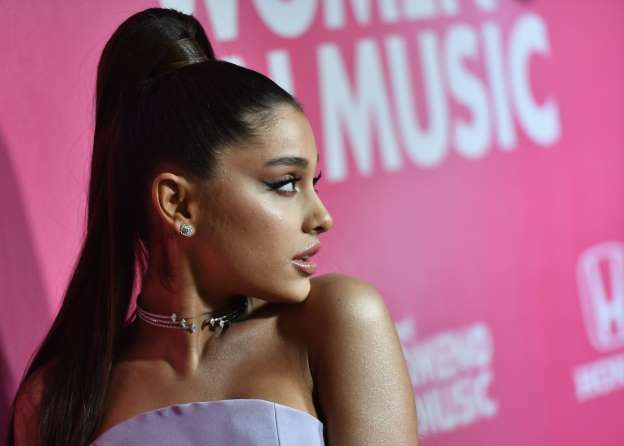 Being said that fans are now convinced that Ariana Grande’s new song Monopoly is the platform through which she is ‘coming out as bisexual’, after digging out a shred of evidence in the lyrics that ‘linked to their theory’. Is Grande coming out as bisexual? "I like women and men (Yeah), work so f***ing much need a twinny twin twin (Yeah), how you hit the club when you barely got in? Then we hit the bank, making the investments for the win." Although, some people don’t think that it could be Ariana who is speaking out about her sexuality in the songs, as it is her joint musical venture with best friend Victoria Monae, who recently came out as bisexual to her fans. if ariana IS bisexual and this is her coming out then i’m extremely proud of her, if victoria is bisexual and this is her coming out then i’m extremely proud of her too. there are worse things in the world than love. "I want everyone to know that I’m single (since people wanna pretend I’m not) and make imaginary rules for me. I secretly and respectfully went through a difficult break up this summer but enough is enough. I also like girls. Thank U, Next. Bye." Accompanying the 'coming out' rumor arrives the massive attention which is surely a good sign for the sales of the musical contributions of the Grammy-winning star.